We’ve just published another eBook: Making Exact Change: How U.S. arts-based programs have made a significant and sustained impact on their communities by Bill Cleveland. 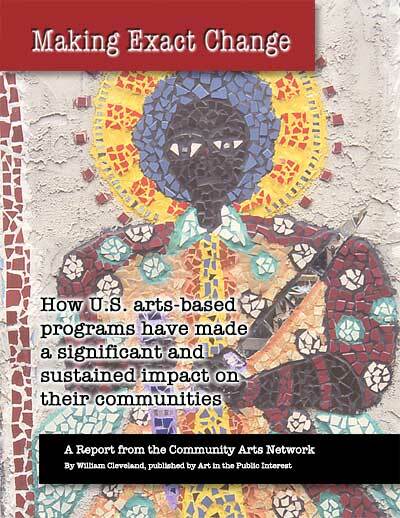 it examines ten outstanding U.S arts-based community programs and asked them how they define and measure their own success: What helped them make change in their communities leading to the long-term advancement of human dignity, health and/or productivity? What issues, conditions and problems held them back? First published by API on Lulu, it’s now available as an eBook from Barnes & Noble Nook. Paperback copies are available on Amazon.com.